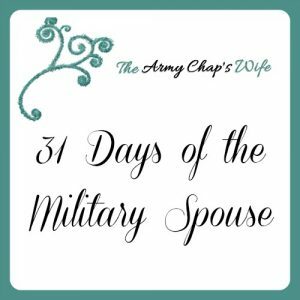 Last week, we focused our attention on a famous military spouse–Martha Washington. This week, let’s move ahead a few years in history. Elizabeth Bacon Custer was the wife of George Armstrong Custer. 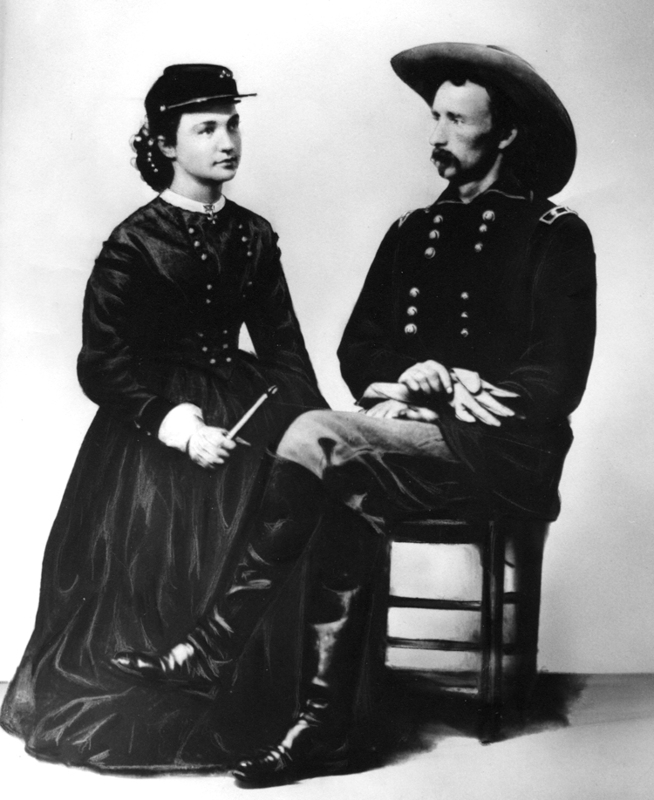 Whatever you may think about Custer himself, Elizabeth “Libbie” Custer was a devoted Army wife who was known for her determination to follow her husband wherever he went, regardless of the circumstances in which she might find herself. Her attitude towards the crude conditions and frequent moves appears to have stayed on the positive side. Though, from her writings, she didn’t care much for the “barren” plains and missed the flowers and greenery of the East. When her husband was stationed at Fort Lincoln, Nebraska, Elizabeth participated in a book club that had been established for the wives. Books were sent from the East and the ladies would meet to discuss them. When Army “higher-ups” complained about the presence of wives on the frontier posts, Elizabeth spoke up as to why they were beneficial. After the death of her husband, Elizabeth launched a “one-woman campaign” to protect and defend her husband’s reputation. Knowing that he was criticized for his involvement in the campaign that led to his death (and the deaths of the men in 5 companies of the Seventh Cavalry) she tirelessly wrote, lectured, and lobbied in order to shape his image in a positive light for the public. One has to admire her courage, tenacity, and steadfast belief in her husband. She never remarried, and her one big disappointment was that she never had a son to carry on her husband’s name. Wow, I had never known anything about Custer’s wife. Thanks for sharing! I love that her thoughts could have just as easily been penned by the spouse of a service member today. It was a lot of fun to research and write about her–I really didn’t know anything about her either.